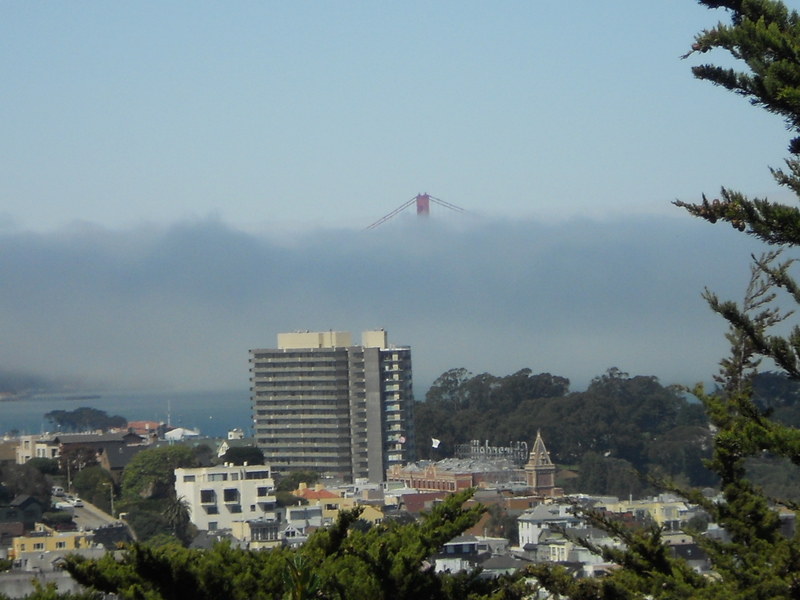 Fog is as much a part of San Francisco as the Golden Gate Bridge, as its hilly streets and hippies of yore. 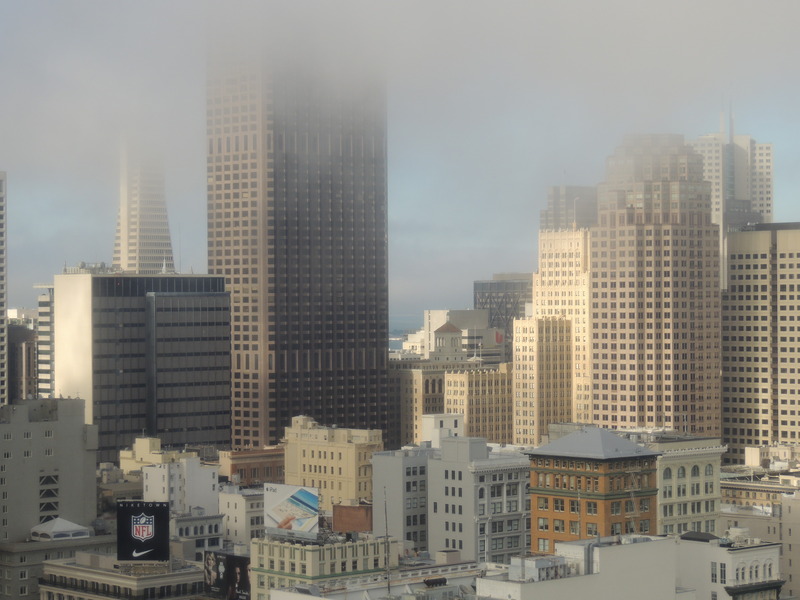 You cannot think of the city without thinking of the fog. To me, it is fascinating how you can literally watch it creep across the city, and then march right on out again. 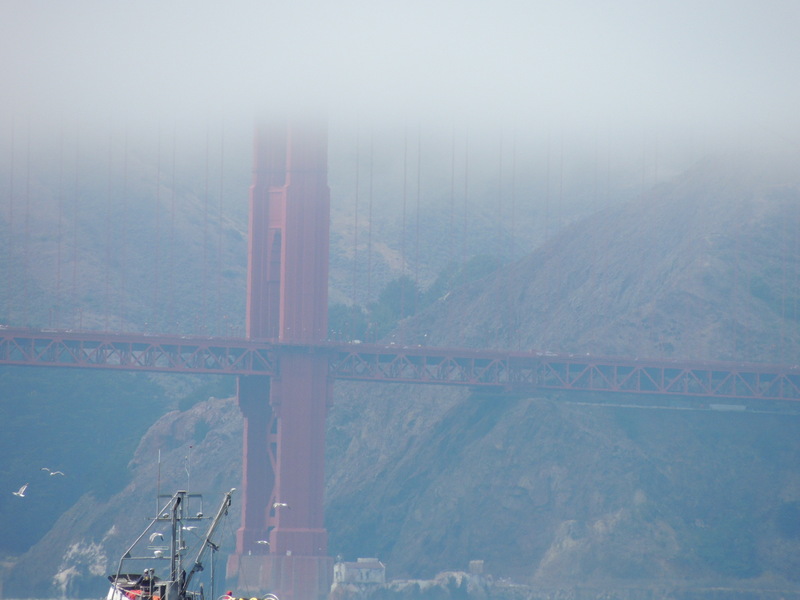 In my trips I have often heard it uttered, that the Golden Gate Bridge is covered in fog more times than not. 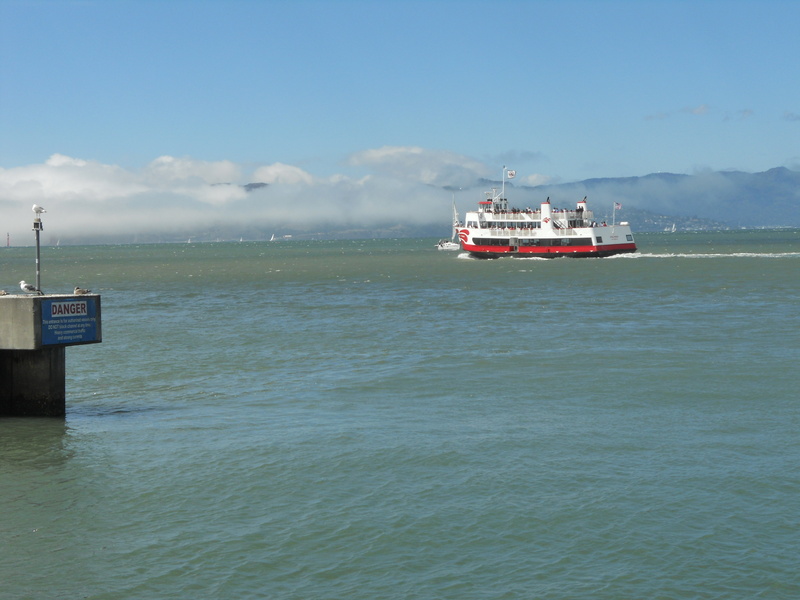 Throughout the second half of the 16th century Spanish, Portuguese and English navigators sailed along the California coast in search of a safe harbor yet repeatedly failed to sight the entrance to the great bay. 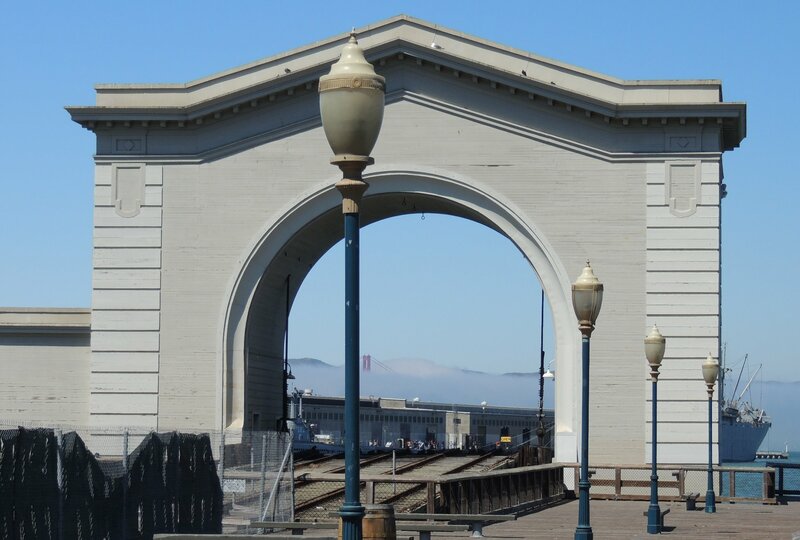 Geography, fog and chance forever altered the region’s history by hiding the Golden Gate and delaying the beginnings of European settlement along the bay. It was not until 1769 that Europeans first sighted the bay during a land expedition led by Gaspar de Portolá and dispatched by Spain in a vain attempt to bolster its waning military influence in the region. 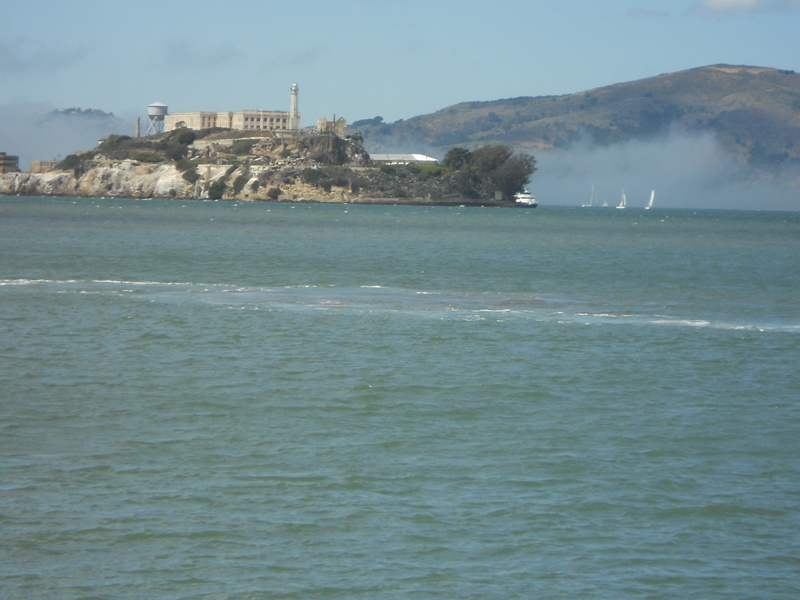 To add to San Francisco’s less-than-glorious beginnings, the Portola men only discovered the great bay by accident after overshooting their real target, Monterey, and then failed to even realize they were the first Europeans to sight the bay! Mainly worried about locating Monterey Bay, Portola and his men did not even realize the significance of their discovery. 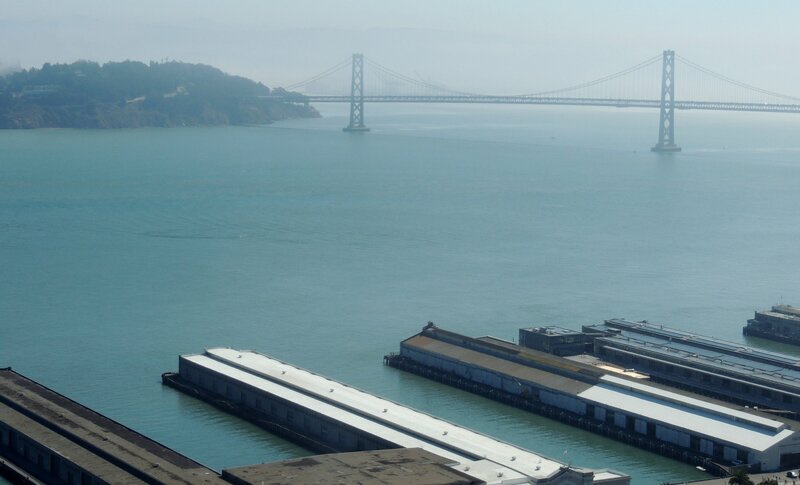 Here before their eyes was one of the worlds great bays, a natural harbor vastly superior to Monterey Bay and clearly befitting Spain’s new colonial ambitions for Alta California, yet Portol completely failed to grasp the importance of his greatest discovery. 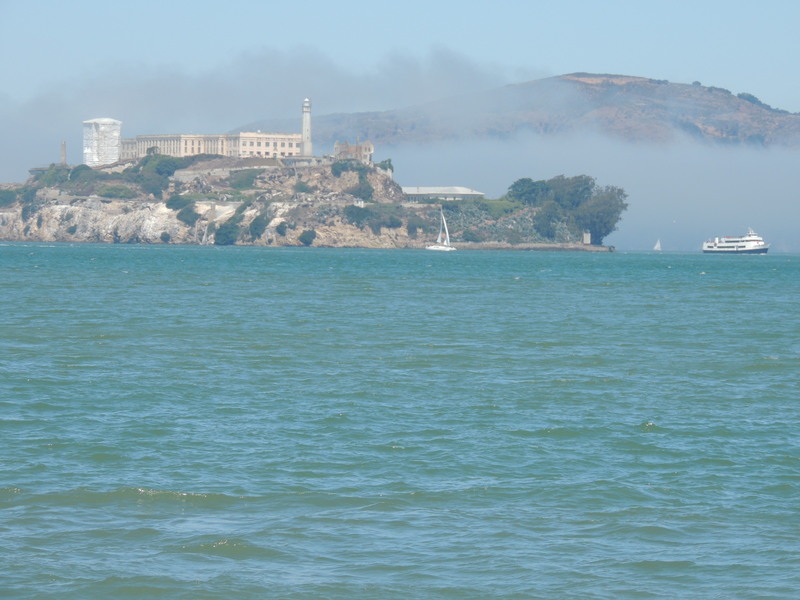 In his memoirs of this trip, written four years later, Portola spoke mainly of boredom, hunger and illness and said only of the San Francisco peninsula: I did not linger there, nor did I see anything worthy of description there, save only a labyrinth of bays and channels which inundate the territory. So modest was the Governor’s view of the bay that it was not until 7 years later that the Spaniards settled its shores. 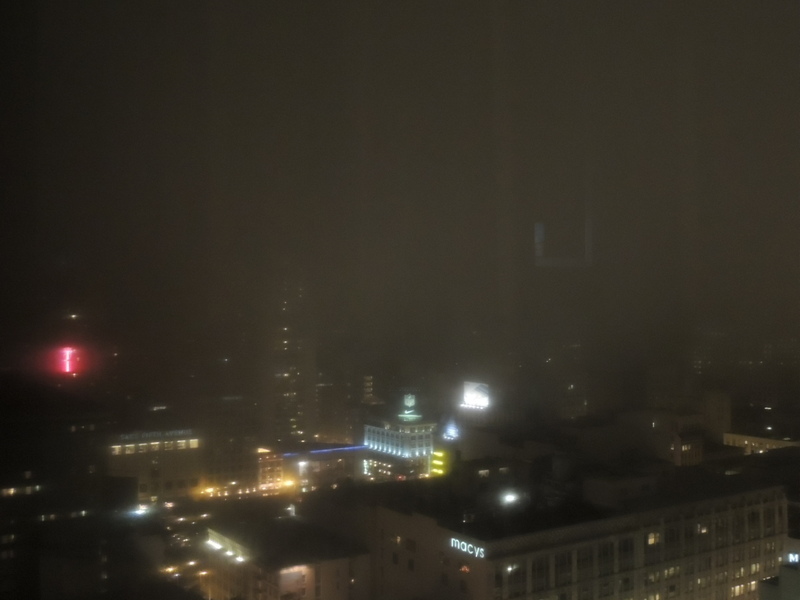 And so it was that fog, chance and a misnaming had finally given birth to the Bay of San Francisco, site of the future Queen City of the West. 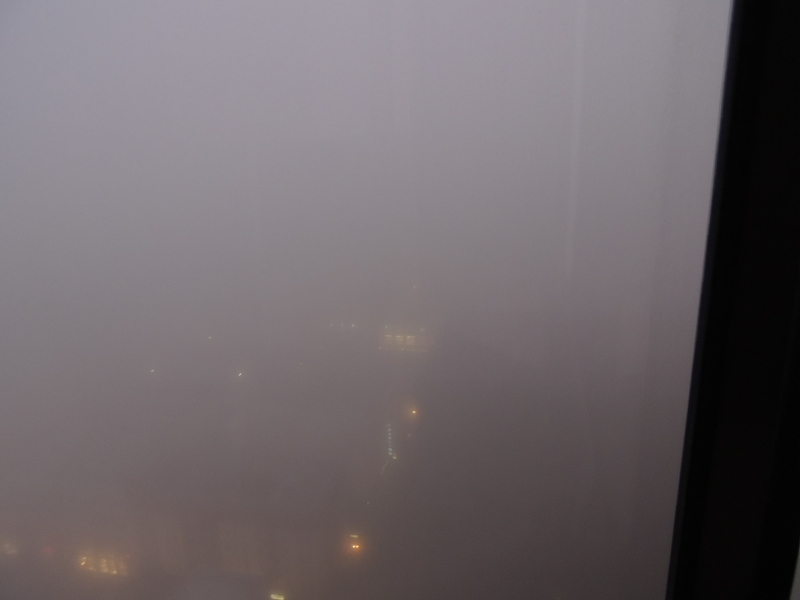 Staying on upper floors of hotels when I visit, I get a birds eye view watching the fog make its way across the city. I had the unique experience of opening my curtains one morning, only to see, absolutely nothing! 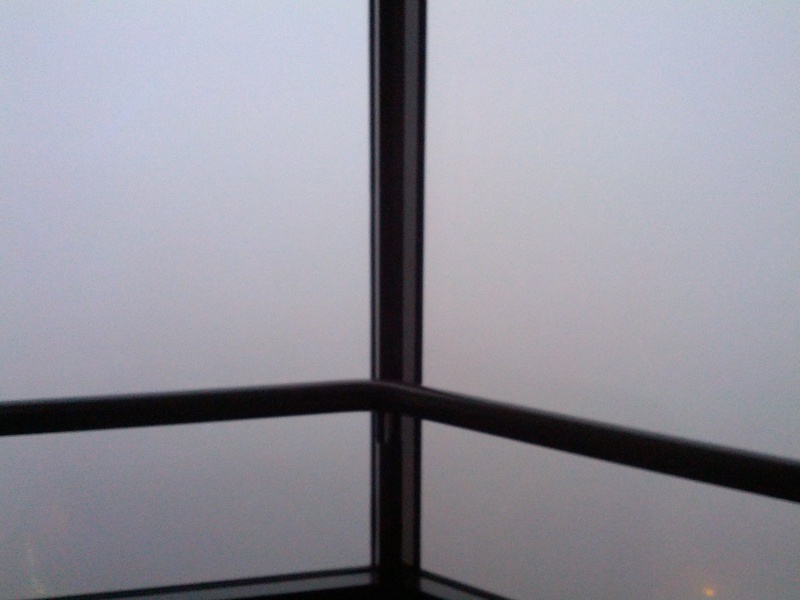 Just fog. I had the same experience one evening as well. Fortunately, each time it didn’t last long. It really does, literally, march across the city. 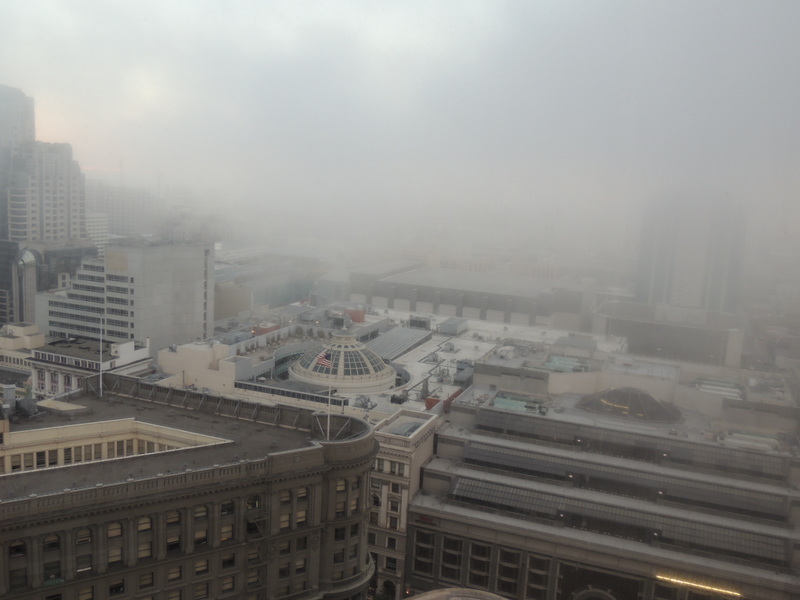 I love the fog, it is an integral part of San Francisco. So long as it doesn’t stay very long mind you, as I’ve gotten rather wet walking around the city on those early mornings when the fog was thick and low. 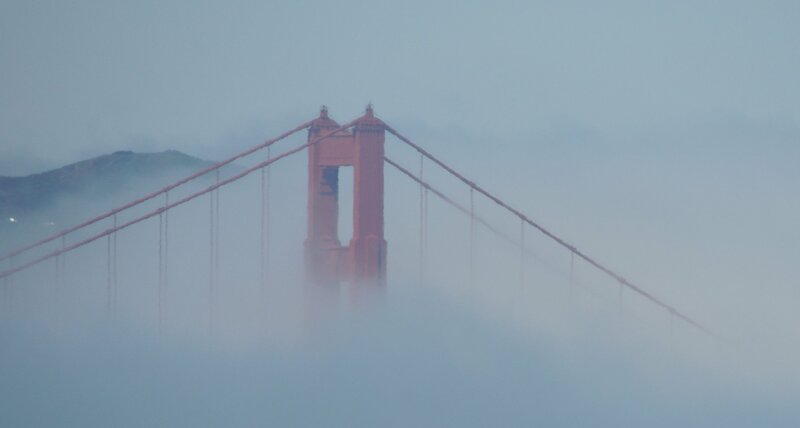 A few of my favorites of the bridge and the city wrapped in different stages of fog.